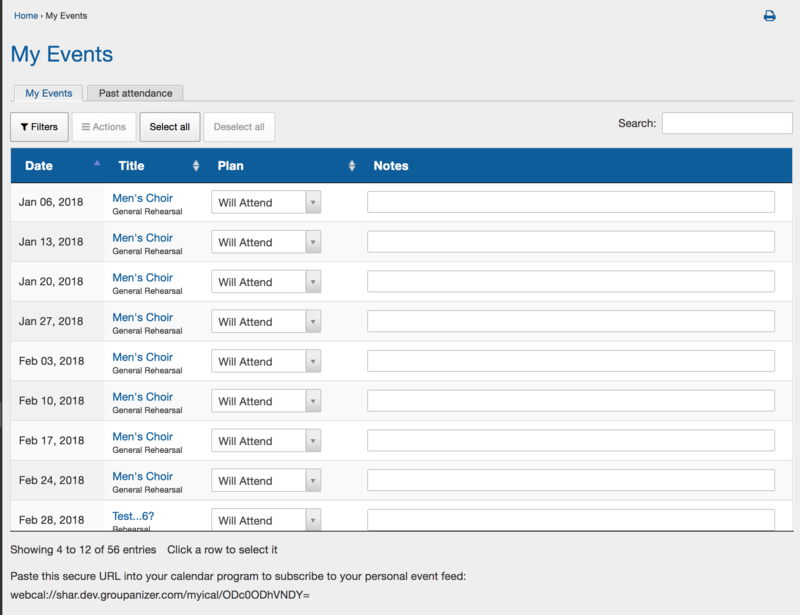 You can update your attendance plans one by one using the dropdown menu across from each event entry. You can also select the rows by clicking in the grey space in the columns, or use the select all button above the table. Selected rows will highlight a pale yellow. To deselect items, click the selected row again, or click the "deselect all" button above the table. 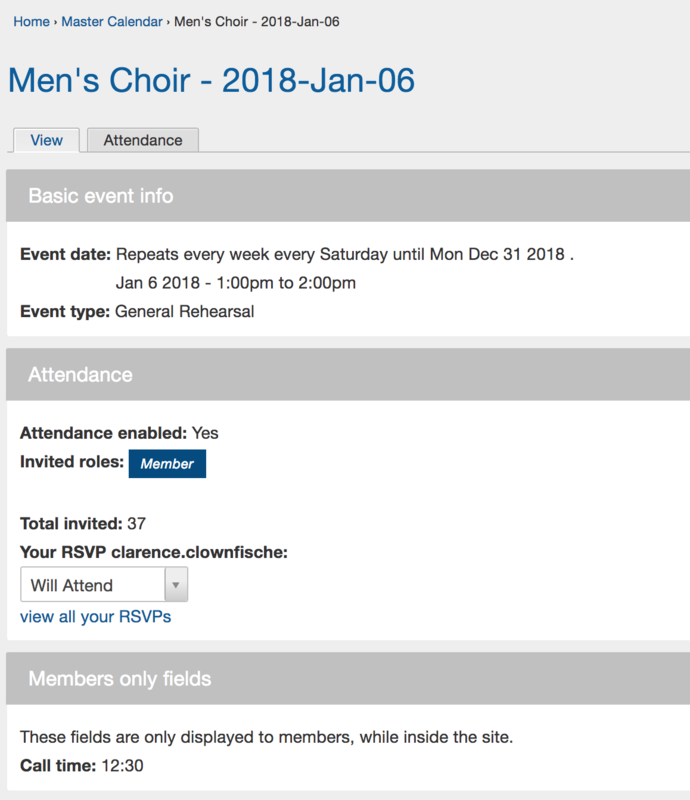 Once you've selected your rows you'd like to change, click the Actions button to make a change to your attendance plan for all the selected events. The notes field can be edited to add a reason you may be missing an event, or may be late. Under the attendance heading you'll see the attendance info for the specific event you're viewing. You can use the drop down to enter your attendance plan, or click on the "view all your RSVPs" link to be taken to the My Events page. Above is an example of an Event invitation email. You can use the links in the email to RSVP with a click, or use the "see details" link to view more about the event to which you were invited.